From connections to conversations to conversions, we lay the groundwork for steady sales funnel growth and faster revenue flow. Callbox Australia provides fully-managed lead generation, appointment setting, database solutions, and digital marketing services. With Callbox, your marketing and sales teams stay focused on driving revenues, instead of looking for prospects. Callbox develops marketing campaigns based on our proven multi-touch, multi-channel approach. We don’t just rely on the phone to connect with prospects. We combine voice, email, social media, and online channels to engage your target customers. We also don’t just stop at one touch point. Callbox’s marketing specialists ensure consistent outreach at multiple points throughout the sales cycle, nurturing prospect and collecting sales intelligence to maximize each touch point and enhance conversions. Connect with qualified B2B technology sales leads and appointments with Callbox’s proven IT & Software lead generation services. Find new clients with Callbox’s proven b2b lead generation for financial services and start growing your sales pipeline today. Callbox has succesfully conducted several energy and solar marketing campaigns in Australia and the US. Gain leads, appointments, and data from key segments in Australia’s professional and business services sector with Callbox’s full suite of marketing solutions. Tap into a steady supply of Australian manufacturing leads and appointments using Callbox’s full-service B2B marketing packages tailored for you. Reach high-value sales opportunities from wholesale and retail companies in Australia using Callbox’s proven B2B marketing approach. Tap into high-quality consulting leads with Callbox’s targeted lead generation services for consulting firms and research organizations. Drive more logistics leads and appointments in Australia that that match your target customer profile with the help of Callbox’s B2B marketing solutions. Leverage Callbox’s marketing experience in the Australian healthcare sector to grow your sales pipeline with qualified sales leads and appointments. Reach more education leads for your school, college, training institute, or learning center with Callbox’s full suite of marketing services. Learn how Callbox’s multi-touch, multi-channel B2B marketing solutions deliver qualified janitorial leads and appointments straight to your sales pipeline. Succeeding in today’s buyer-led B2B marketing landscape requires the right combination of people, processes, and platforms. When you partner with Callbox, you gain everything you need to stay ahead. With more than a decade of experience and thousands of successful campaigns under its belt, Callbox has been ranked and recognized as a leading marketing provider by various industry sources. 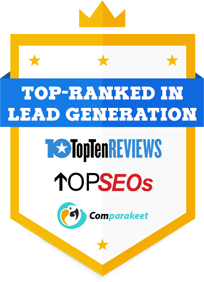 Get more qualified leads. Request pricing.